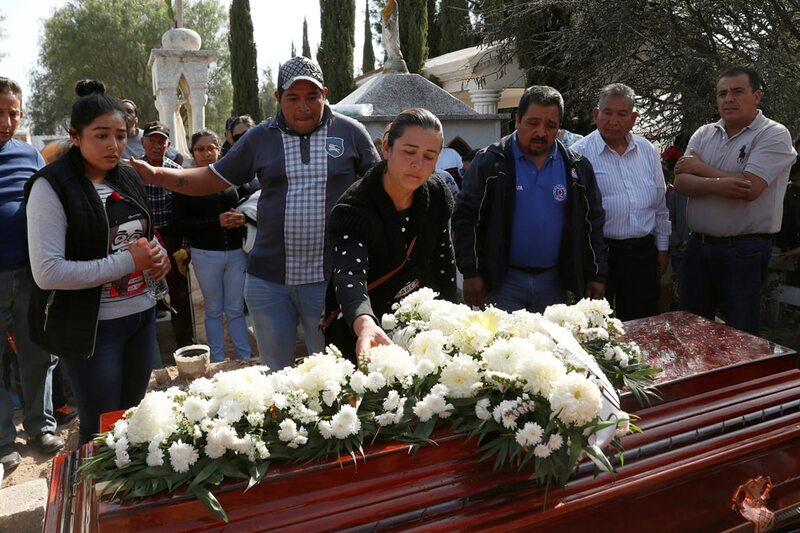 TLAHUELILPAN, Mexico - The death toll from a fiery explosion in central Mexico rose to 79 on Sunday as authorities vowed to hold accountable those responsible for a fuel-line leak that drew hundreds of people looking to gather gasoline. Health Minister Jorge Alcocer said 66 people were hospitalized in Hidalgo, and others in worse conditions had been moved to Mexico City for specialized treatment. Lopez Obrador, a leftist who took office only weeks ago, traveled to the scene early Saturday.